Bitplutos Review – SCAM WARNING!! SCAM WARNING: Bitplutos is either totally incompetent or just scamming people. We earned about $3.300 USD with them but when it came to getting a payout, suddenly they told us that “there was a bug” and we only earned $240 – 13x less than originally shown on their website. This means that they a) just cheated us or b) are so incompetent that they did not notice a 13x difference in their statistics. Whichever version is true, we clearly advise you to DO NOT INVEST A CENT AT BITPLUTOS. At the time when most binary options brokers allowed traders to speculate between crypto-currency and a binary option offered in their local currency, Bitplutos was the first ever binary options broker to allow fund deposits in Bitcoin. 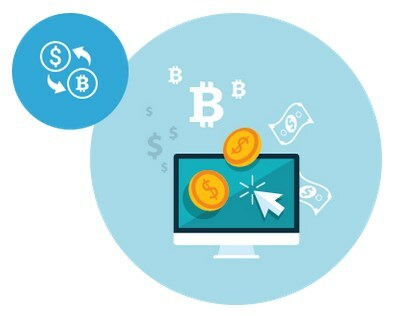 As a result, clients no longer had to face the hassle of using the local currency for opening a trading account; instead, they could make their deposits directly in Bitcoin. This feature put this binary options broker on the map, making it one of the most preferred in the industry right now. Established in early 2015, Bitplutos is a binary options broker that has built a solid reputation among clients within the short span of time by offering a wide array of Bitcoin assets, excellent customer support, and good history. This regulated online broker is trusted by investors, and happens to be a safe option not only for experienced traders, but also for amateurs. As Bitplutos guarantees complete anonymity, it remains one of the most widely preferred and used sites among traders. Offering as much as 200 asset options from more than 30 different countries across the world, this binary options broker is one you can compare with industry leaders like 1Broker, which also allows copying other traders. Like with any other binary options trading platform, you need to first register with the broker in order to start trading. When it comes to registering with Bitplutos, you have two options: you can choose between a regular account and an anonymous account. When you choose the former, you will be required to enter details such as your name, email address, phone number, country, and preferred password and currency. For the anonymous account, you will have to enter only your email address and password, and if you would like to have some additional perks, enter your phone number as well. You can also choose between full and partial anonymity, based on your needs. In the case of the anonymous account, your choice of currency is limited to Bitcoin. However, by choosing the regular account, you can choose from a wide range of currencies, including US Dollars, Euro, British Pound, Polish Zloty, Bitcoin, and more. The trading platform offered by Bitplutos is completely web-based, proprietary to the company, and features all the standard trading features you would expect from a binary options trading broker. 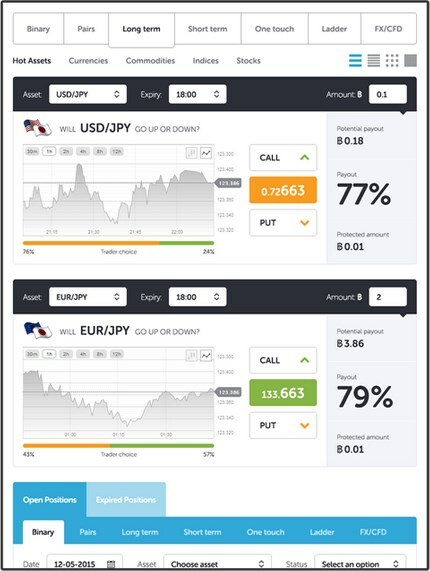 In addition to binary options, the broker provides you with many other choices such as Forex, Ladder, Pairs, One Touch, Short Term, and Long Term. 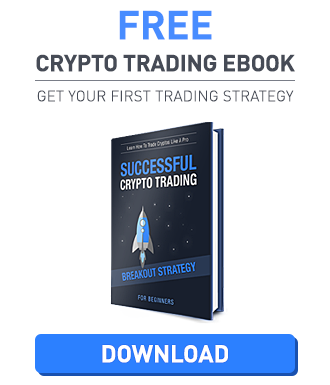 As mentioned earlier, you have access to around 200 assets to trade on, which typically includes some of the hottest assets from the stock market and currencies. Trading on Bitplutos is extremely easy, as you do not have to navigate to a different page for the same. To start trading, all you need to do is choose the asset you wish to trade, type your investment amount, and the expiry time. Once all the details are entered, the platform will display the potential payout you can expect to make if your trading is successful. The trading platform is laid out in a simple and intuitive manner, and is therefore extremely easy to use. As a matter of fact, even a trader who is absolutely new to binary options trading will find it easy to navigate around and learn from the platform. If you are a frequent traveler, Bitplutos provides you with the option to trade on the go using the free Bitplutos Trading App, available both on App Store and Google Play. The different payment methods supported by Bitplutos include Bitcoin wallet, Neteller, Skrill, and Wire transfers. If you choose to deposit by Bitcoin wallet or wire transfer, your minimum amount should be 0.5 BTC. However, there is no limit to the amount of Bitcoins you can deposit in your Bitplutos account. Bitplutos offers an option for traders to become VIP investors, in which case your minimum deposit should be 1 BTC. Also, for wire transfers in your preferred currency, the platform charges a commission of 50 EUR. When it comes to withdrawals, the minimum withdrawal amount is set at 0.1 BTC. Most binary options brokers you come across will offer a welcome bonus for traders, and Bitplutos is no exception. In order to receive a welcome bonus from the broker, you need to deposit at least 1 BTC. When you deposit this minimum amount, you will be entitled to 50% bonus, which means 0.5 BTC free. For a deposit of 3 BTC, the broker will give you 75% bonus (2.25 BTC), and for 5 BTC, you can expect a 100% bonus. Additionally, Bitplutos also mentions that you can receive other special offers based on your trading strategy. Bitplutos has an Education Center dedicated to help traders, both new and experienced. There are separate sections for FAQs, articles, and glossaries, where you will be able to find all the information you need to have your doubts clarified. If you think you need further assistance, the broker’s customer service representatives are available 24/7 via live chat, and you can also contact them via phone, email, and also on Skype. Furthermore, the fact that the broker gives you the option to remain anonymous makes it even more professional, while helping you make some money without getting spotted or being controlled by governments or banks. Overall, BitPlutos is a binary trading platform suitable for true Bitcoin trading lovers.